Painting Size: 12" x 6"
This is an original watercolor painting, inspired by the Hoh Rain Forest in the Olympic National Park. It is painted using the finest watercolor pigments on tree-friendly mineral paper. 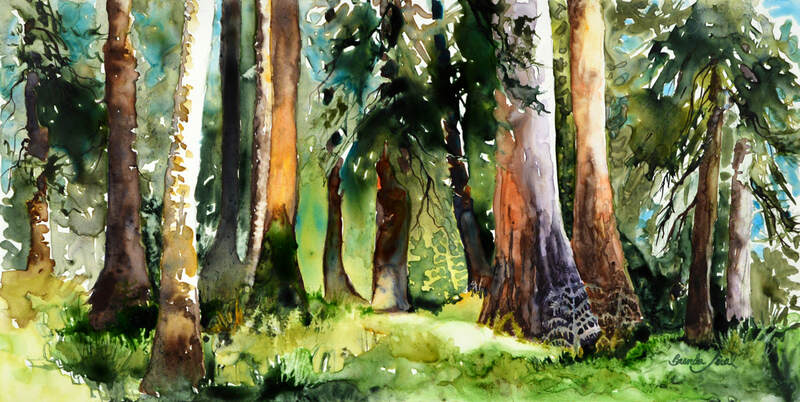 ​ I have always been drawn to trees and forests; they are often the subject matter in many of my paintings. Each time I study one in order to paint it, I see something new and I am always amazed at the complexity and beauty of a single tree.